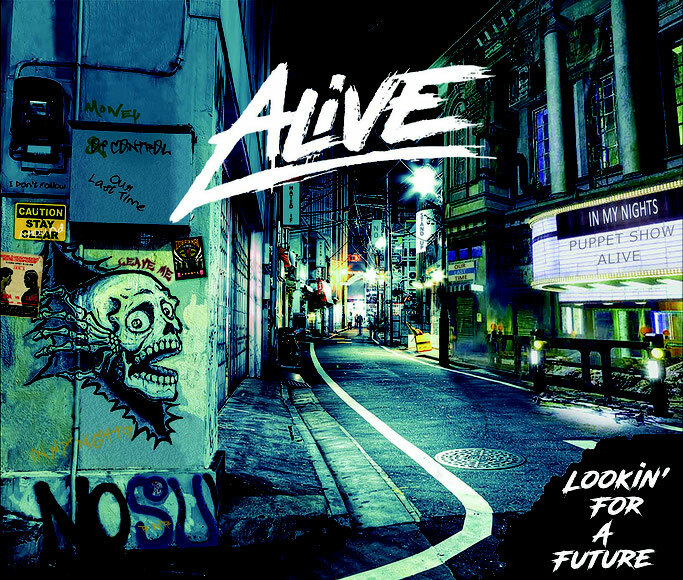 The new Alive album "Lookin' For A Future" is now available, released by Volcano Records & Promotion in both physical and digital versions, on all major streaming and online purchase platforms, such as Spotify iTunes Amazon Music. A concentrate of modern and pressing hard rock, respectful of tradition and inspired by the great groups that have marked the history of music from the 90s onwards, but with a look always turned to the present day. "Lookin' For A Future" is an energetic and fun album, the son of a band that has a lot to say and wants to find its place in a music industry in continuous evolution, full of obstacles and difficult to decipher. It is an album that allows the strong personality of the band to emerge, and we have had the demonstration in the past months thanks to the content published to anticipate the release, such as the lyric video of "N0" (track No. 9) and the video of "Hated If" (track No. 1); content with which, among guitar solos, adrenalin riffs and rock arena choirs, Alive began to spread their word around Italy, receiving a large number of acclaim. All that's left is to listen to the album in its entirety.